Five Richmond Jewish community leaders, representing the Jewish Community Federation of Richmond (JCFR), packed their bags and head to the airport last June. Filled with anticipation and hope, they began a journey of a lifetime to the Former Soviet Union (FSU) where they assisted in the effort and bore witness to the result of your generous donations to the JCFR. They say 'to see it is to believe it,' and as one of the five volunteers on that mission, I can safely say that witnessing the devastating poverty, and the life-giving work of the Federation-supported agencies, has been one of my life’s most meaningful experiences. Through this weeklong mission to the Ukraine I experienced, first-hand, the challenges facing the war-torn nation’s 350,000 Jews. This crisis speaks to the most fundamental reasons why Jewish Federations are so critical: We do not turn away. We make a difference. During this period of calm, the delegation saw how dollars raised by the Jewish Federation movement help the community survive. One of the main ways that Federations help Ukrainian Jews is by providing money to the American Jewish Joint Distribution Committee (JDC), one of the world's most respected international relief agencies. As part of their intense itinerary, the delegation visited JDC-run sites and talked to Jews whose lives have been disrupted and who are being supported by JDC. As Executive Committee Member of JDC this mission was particularly meaningful to me. I’m proud to say that our Richmond delegation comprised over 10% of the total mission. We were part of a national mission headed by the Jewish Federations of North America (JFNA) and the JDC. Support of the Hesed Menachem welfare center ensures that essential humanitarian aid reaches more than 7,000 needy elderly Jews throughout Dnepropetrovsk. 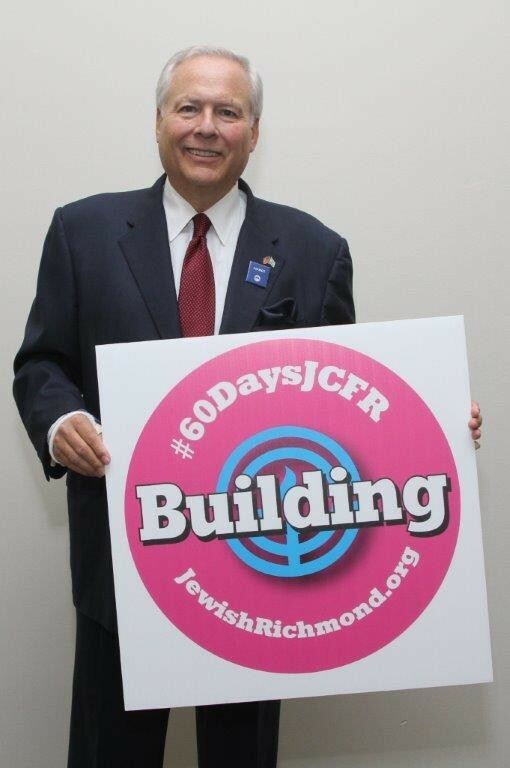 That support comes to the JDC through your donation to the Jewish Community Federation of Richmond (JCFR). The city's impoverished elderly Jews, unable to afford the basic necessities of life, rely on the JDC and Hesed Menachem for food, medical care, home care, winter relief, and other services. Hesed Menachem also runs numerous social activities for elderly Jews, to alleviate their loneliness and isolation. Dnepropetrovsk's Jewish Family services (JFS) program, backed by JDC, helps meet the immediate food, medical, and clothing needs of some 1,500 at-risk Jewish children and their families. JFS case managers also offer parents the support and tools they need to provide a more wholesome home environment for their children. Examples of JFS programs include preschool enrichment, help with schoolwork and parenting workshops. An often-ostracized group in the Former Soviet Union, JDC also funds programs for children and young adults with special needs and their families. The Tikvah program provides children with material, social, medical, and psychological assistance, and introduces them to Jewish life by integrating them in community holiday celebrations and other JCC activities for families. The Yedid program aims to integrate young Jewish adults with special needs into mainstream society by providing them with educational and social activities. With help from JDC, the Solomonika Jewish Community Center (JCC) has become a center of Jewish life in Dnepropetrovsk. Hundreds of Jews flock to the JCC every month to participate in activities, such as early childhood education, cultural programs, educational events, holiday celebrations, children's day camps, Shabbatons and family retreats. Other noteworthy programs include a Madrichim School that trains counselors for summer camps and other Jewish programs. JDC helped found the Tkuma Holocaust Education Center, which marked an important step forward in the acknowledgment of Nazi atrocities committed on Ukrainian soil. Recognized by Ukraine's President for its contribution to Holocaust research and education, Tkuma promotes Holocaust awareness among Jewish and non-Jewish Ukrainians alike. With JDC's support, the popular Metsuda Young Leadership program, along with a series of diverse seminars for active young madrichim, has trained scores of young Jewish adults from across Ukraine to be leaders in the Jewish community. Over the course of a year, participants take part in intensive training seminars and create Jewish community service projects for their hometowns. Mark Sisisky is Past-President of the JCFR, Executive Committee Member of the JDC, and a lifelong Richmonder.